Olympic Games start in Beijing tomorrow. 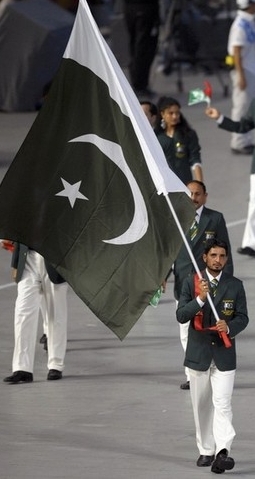 This year, Pakistan has sent a 21-players plus 16-officials = 37 member contingent to take part in 4 sports viz. Athletics, Men’s Hockey, Swimming and Shooting. Pakistan qulaified to play in Hockey where as entry to rest of the three sports has been on the basis of ‘wild-cards’. Pakistan’s chances of winning major medals at Beijing are slim to none, but that was not always so. Plus, this is the Olympics and one can always hope for a surprise. Sometimes you can even get it! As of 2008 Pakistan is the 6th most populous country in the World but the Olympic medal tally of Pakistan has reamined dismal to say the least. 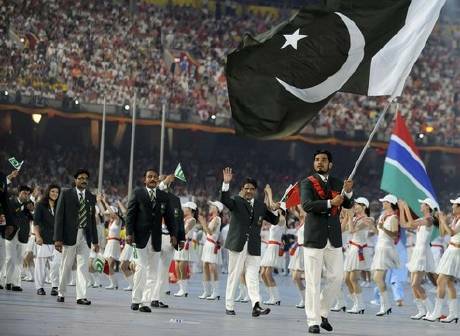 In fifteen Olympic Games since 1948, Pakistan has won a total of 10 medals only – 3 Gold, 3 Silver and 4 Bronze. Pakistan has not been able to win a single olympic medal medal since 1992. While many reasons could be attributed to this dearth of medals, one major argument is that the sports in which Pakistan excels (or has excelled in the past) are not part of the Olympics. e.g. Cricket, Squash and Snooker. Other arguments can be lack of sports infrastructure or when people are struggling to make ends meet who cares for sports etc. Men’s hockey is the only sport where there has been a national interest and it also shows in medal tally. Eight out of 10 olympic medals of Pakistan were achieved in Men’s Hockey. So what are the chances of Pakistan of doing better in 2008 olympics. Once again, 16-member men’s hockey team is our best chance. 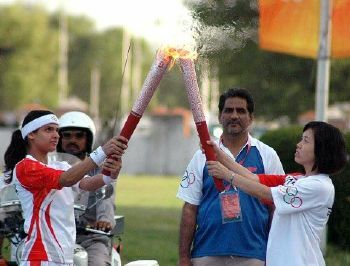 Sadaf Siddiqui ran in 100m sprint on August 16, 2008 and finished seventh out of 8 contestants. Following is the APP news feed for her race. Pakistanâ€™s Sadaf Siddiqui finished seventh in the women 100-meter sprint at the imposing National Stadium (Birdâ€™s Nest) on Saturday. Sadaf from Lahore, who turns 23 on August 27 running in lane five, with 2552 chest number, clocked 12.41 seconds to secure second last spot in eight women field. She, however, failed to improve her personal best of 11.84 seconds. â€œIts great feeling to run alongside the best in the field. Itâ€™s greatest occasion for any athlete to feature in the Olympics and I had my dream coming true today,â€ she said after the race adding that she was greatly overwhelmed by the occasion. The race was twice halted after runners came out of their blocks early in an anxiety. 32-year-old veteran Christine Aaron of France clocked 11.37 seconds to get the first position while Lauryn Williams (US) stood second with 11.39 seconds and Tehsia Harrigan from British Virgin Islands was third. All top three qualified for the next heat. Pakistanâ€™s 110-meter hurdler Abdul Rashid will be in action in the heats on Sunday. Following is the result. The final rank of Umar Siddique in Beijing olympics came out to be 48th out of 51 competitors. He competed in 10m air rifle competition. Following is the APP news story on his final standing. Pakistan’s lone marksman Siddique Umer finished 48th in the 10-metre Air Rifle Shooting event of Olympics at the Beijing Shooting Range on Monday. Siddique collected 578 points following rounds of 97, 94, 98, 96, 98 and 96 in the field of 51 shooters who featured in the qualification round. The 26-year-old, featuring in his first Olympics, fired fine first, third and fourth rounds in which he mustered 98 points. However, he was not impressive in the other three rounds otherwise he could have finished among top 20. Siddique finished just above Benjamin Burge (Australia), Hernandez Martinez (Nicaragua) and Saso Mestorov (Macedonia). Muhammad Aqil Shah (chef-de-mission), Dr. Waqar Ahmed (doctor), Brig Saleem Nawaz (secretary), Muhammad Akhtar Nawaz Gungeera (finance secretary), Captain (retd.) Zafar Iqbal Awan (security official). Final pool B rankings in which Pakistan was also placed are given to the right. Pakistan finished 4th in their pool. Netherlands and Australia make it to Semi finals from pool B.
Pakistan thus finished 8th in the olympic hockey. 5. Funniest Hockey Humor: Khalid Abbas Dar & Co.
Will Pakitan’s sports fans start a countdown to press for better performance in the next Olympics? I wonder if an initiative could be launched any soon.